The Rock Tulip grows in large patches, sometimes with many more leaves than flowers although the flowers can be more numerous in some seasons than others. Tulips are members of the Lily family and this particular species, as its name suggests, colonises rocky places and gullies but can also be found occasionally in farmland and along field margins. Rock Tulip blooms from March to April. 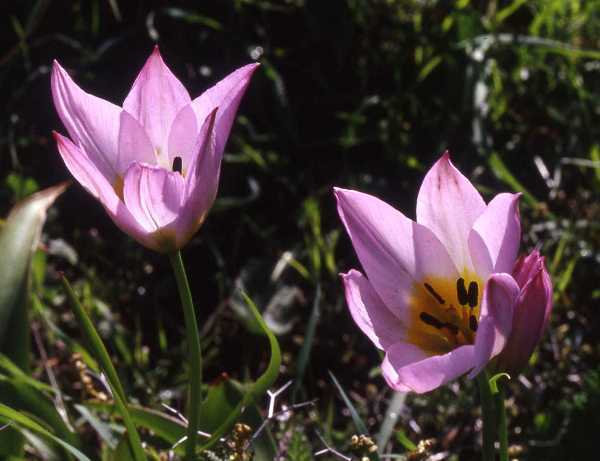 Tulipa saxatilis can be found in Crete and southwest Turkey; it has also become naturalised in Italy. The photograph shown here was taken in Crete.